A top Chipotle executive has been caught in a police crackdown on a cocaine trafficking ring in New York. Mark Crumpacker was charged with seven counts of cocaine possession. He's one of 18 customers accused of frequenting the drug ring, according to an indictment from New York District Attorney Cyrus Vance. Crumpacker was arraigned Tuesday after allegedly getting caught 13 times on wiretaps ordering drugs to his apartment in the Union Square neighborhood of Manhattan, according to the DA's office, which said he bought $3,000 worth of drugs. Crumpacker is the chief creative and development officer at Chipotle (CMG), with compensation totaling more than $4.2 million last year. The charges against him are misdemeanors with a maximum penalty of a year behind bars. "We are aware that Mark presented himself to authorities yesterday," Chipotle spokesman Chris Arnold said in an email. "He was placed on a leave of absence last week immediately upon learning of these allegations and remains on leave from his job to focus on these personal matters." Crumpacker's lawyer, Gerald Lefcourt, said Crumpacker posted bail but declined to comment beyond that. Crumpacker is accused of possessing cocaine on seven separate dates in January, March, April and May, a particularly rough period for Chipotle as it struggled to recover from various E. coli outbreaks that sickened hundreds of customers. 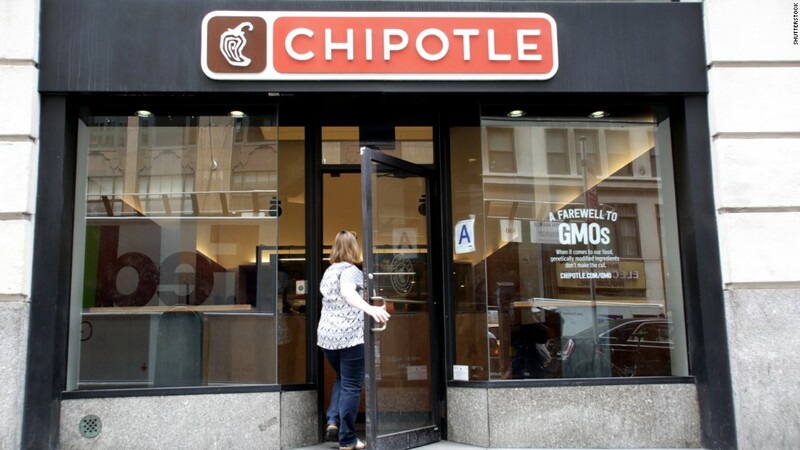 Three of those dates occurred in April around the time Chipotle reported its first-ever quarterly loss. Another possession charge, on January 29, occurred a couple days before the Centers for Disease Control declared the E. coli outbreak to be over. Vance, in a press conference on June 30, said the investigation of the drug trafficking ring arose from death of a customer. He said the drug ring used car services to sell coke in bodegas, restaurants, bars, hotels and the buyers' workplaces. He said they also sold drugs in the aisles of pharmacies "in an apparent effort to elude physical surveillance by law enforcement." "It's a high end, on-demand service with buyers paying a premium" of $200 to $300 per transaction, said Vance, a price that was "roughly double the price you would pay on the street. They paid for the convenience of delivery and the relatively high purity of the product."